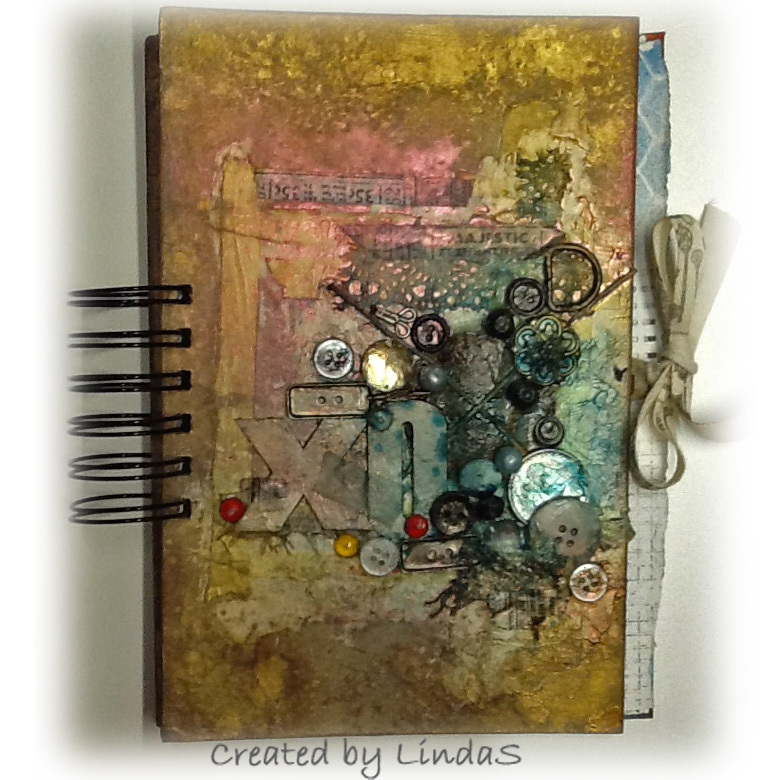 until the I saw the The Craft Barn challenge Our latest challenge is up: Art Journal, who's playing? so here is my take on the challenge. The colors looks much better in reallity. Stunning cover & love those pages. The backgrounds have great depth. 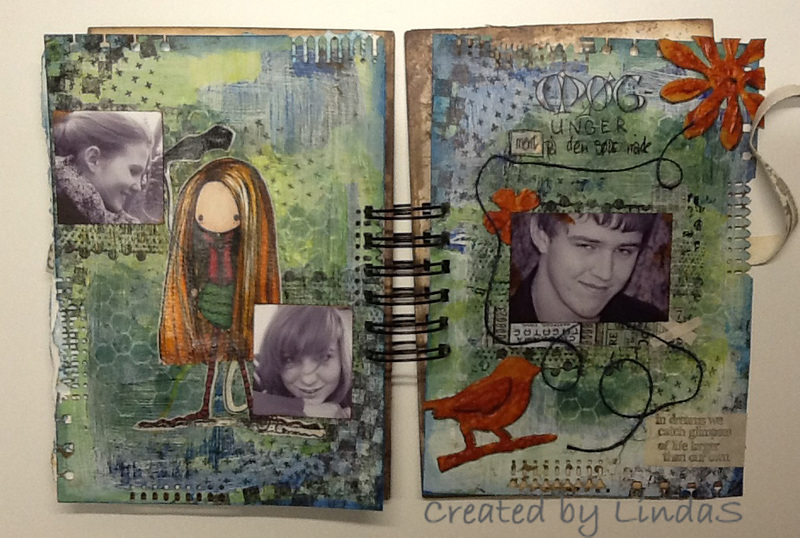 Amazing art journal, fabulous colours! Fantastic !! love the background. 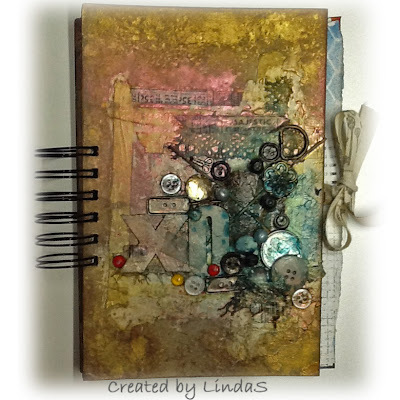 Hiya Linda from marie ohanlon in Ireland. Love your creation. Hope you are doing well. How are your children doing no w. bye and keep up the good work.